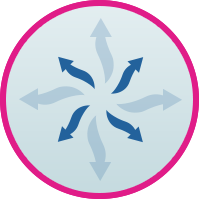 New TENA Lady Discreet now features microPROTEXTM technology, making it 20% thinner yet just as secure. Discreet protection that allows you to get away with wearing whatever you like. 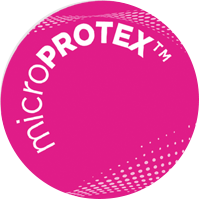 New microPROTEXTM technology from TENA cleverly compresses ultra-absorbent materials, to create a thinner pad that rapidly draws away moisture away from the skin. It’s remarkably secure and discreet protection. With a new asymmetrical body shape, TENA Lady Discreet pads are designed to fit and move with the curves and shape of your body. 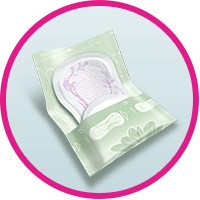 Convenient to carry and dispose of later, TENA Lady Discreet pads are individually wrapped with a subtle design to pop in your purse or bag. 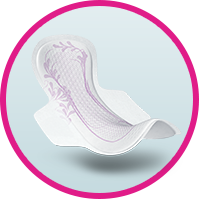 The TENA Lady range gives you Triple Protection against leaks, odour and moisture. To help you stay dry, secure and confident every day. TENA products are made to give you secure protection that is also soft and kind to skin so you feel dry, fresh and comfortable.